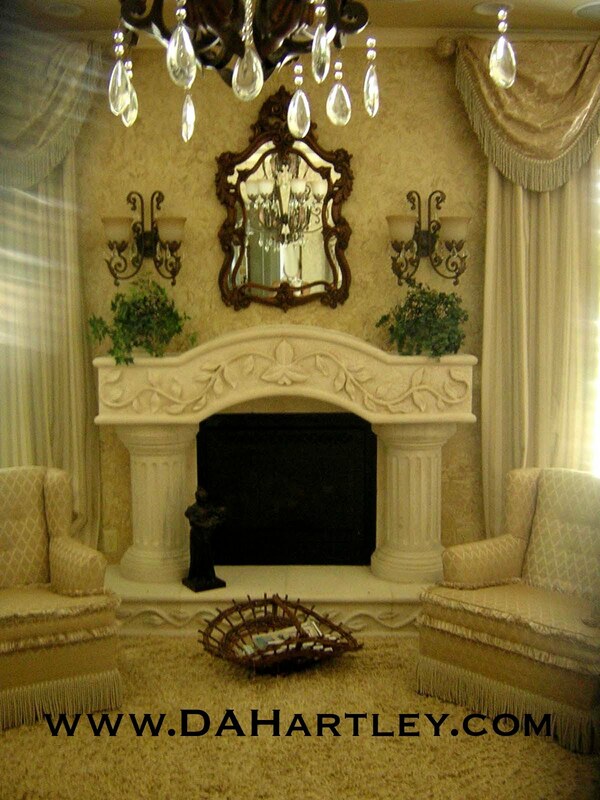 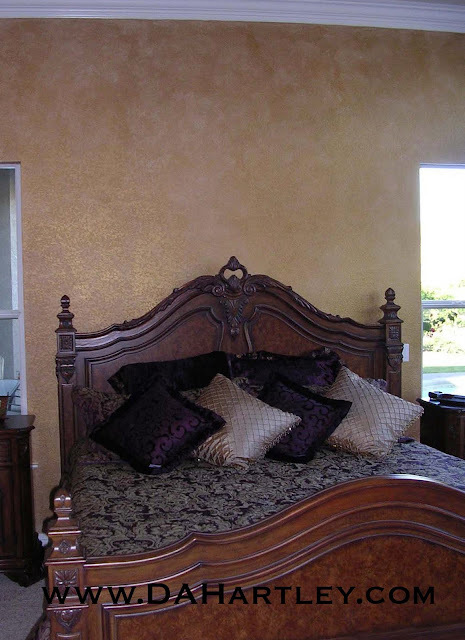 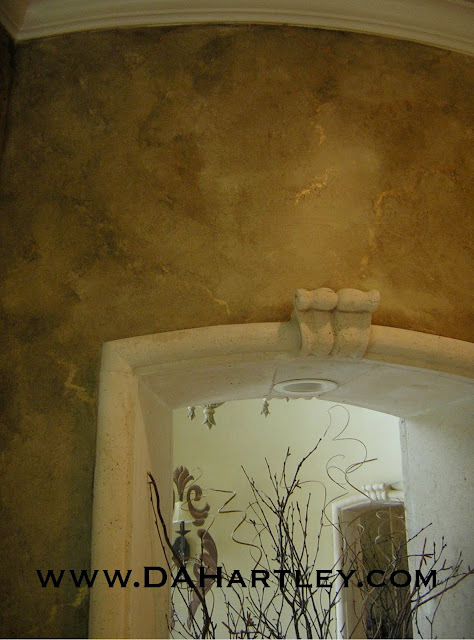 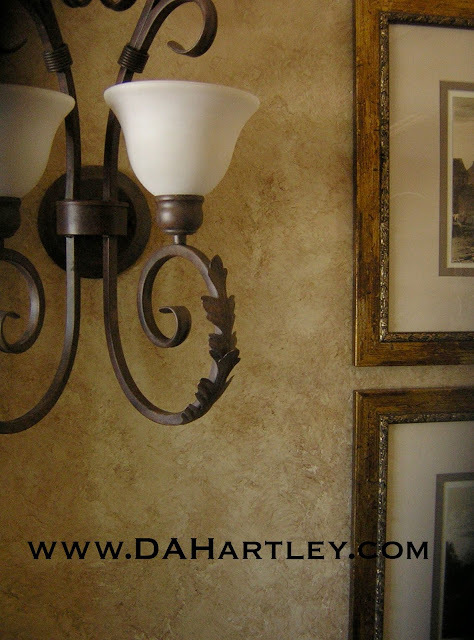 Inspired by the antique walls of Italy and France, with the look of aged plaster. 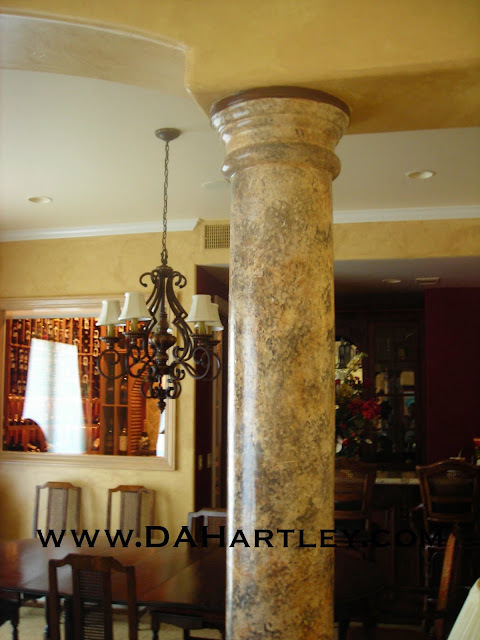 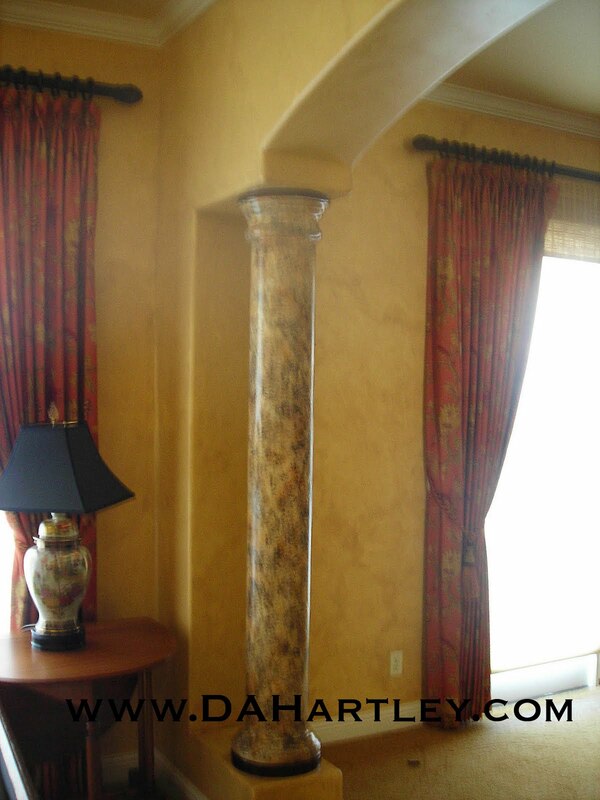 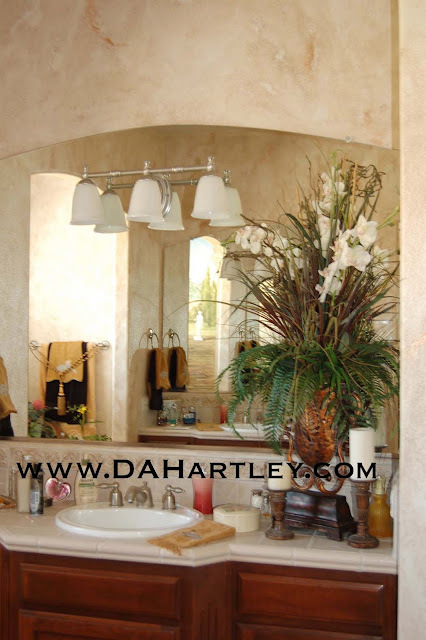 Faux marbles and stone completed in many layers of finish, resulting in the look of real stone. We can match your home's existing marbles and granites. 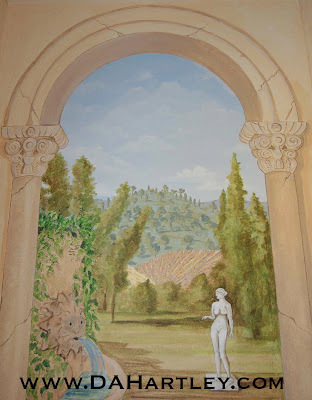 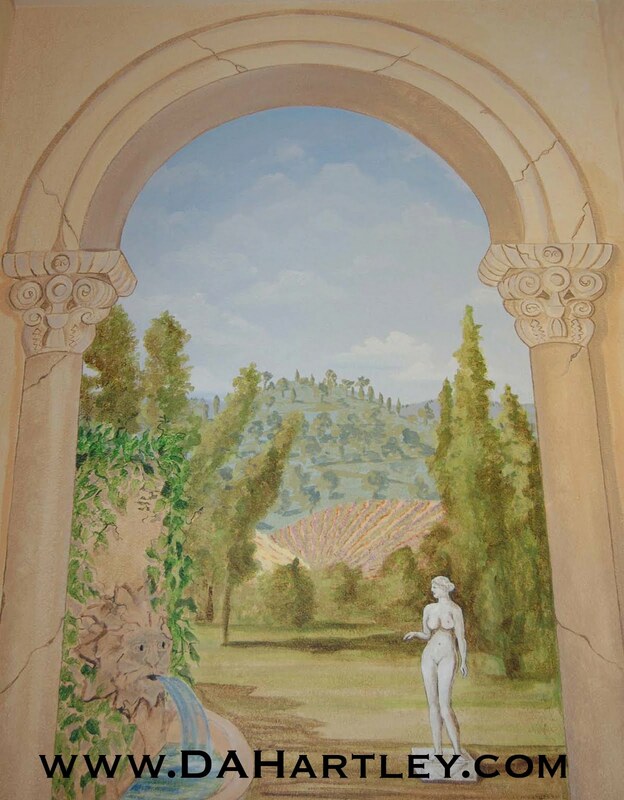 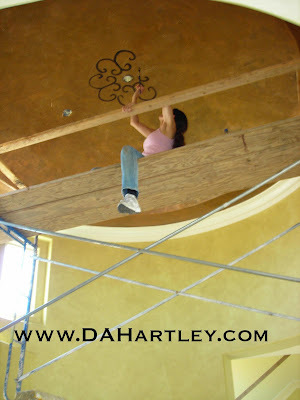 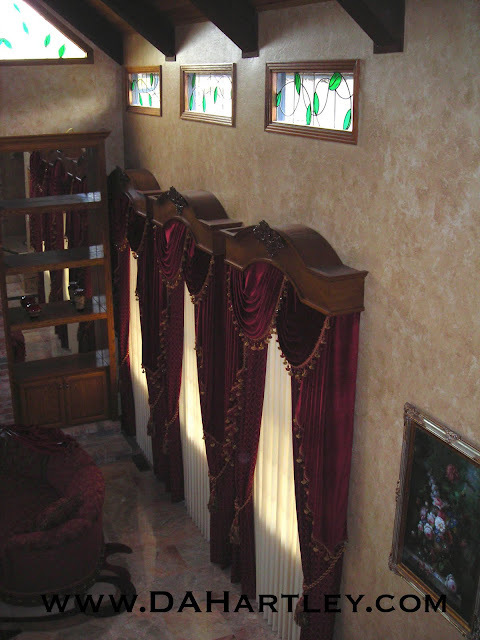 We also offer Italian and French Wall Murals, hand-painted on your walls, or on canvas applied to your walls. 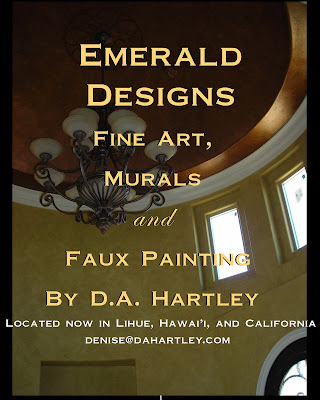 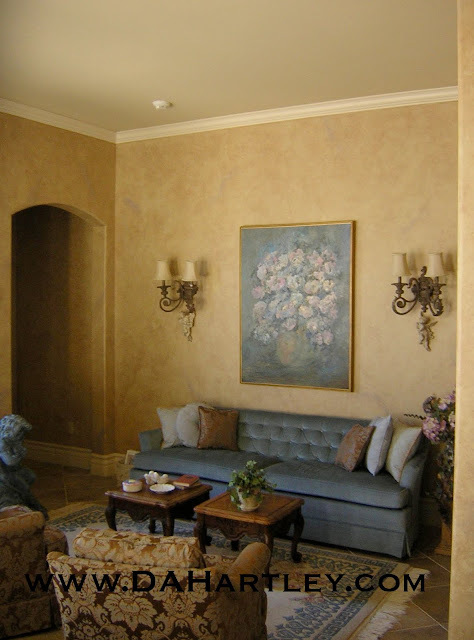 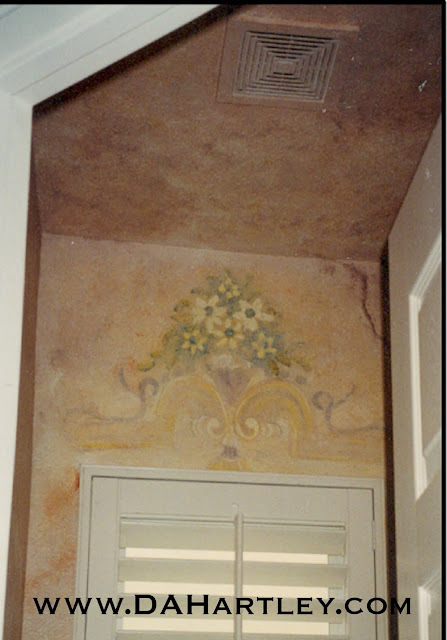 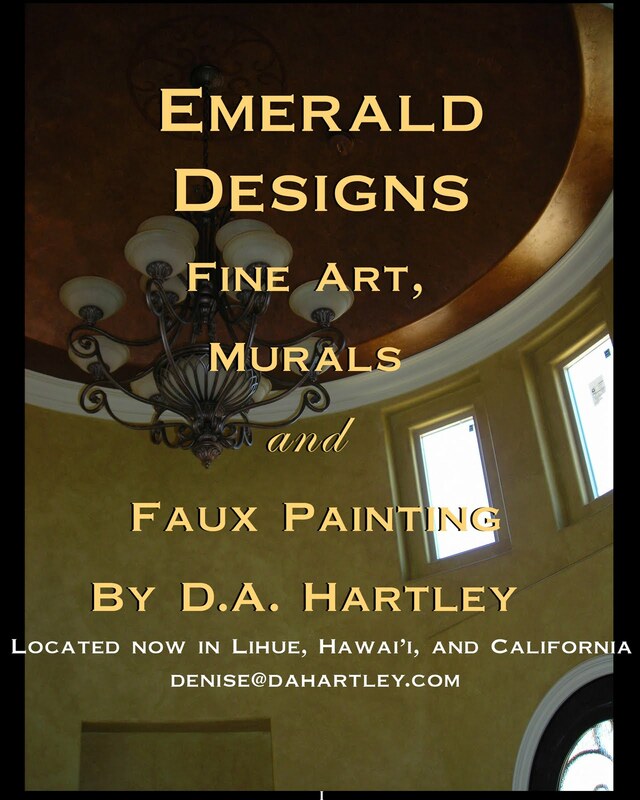 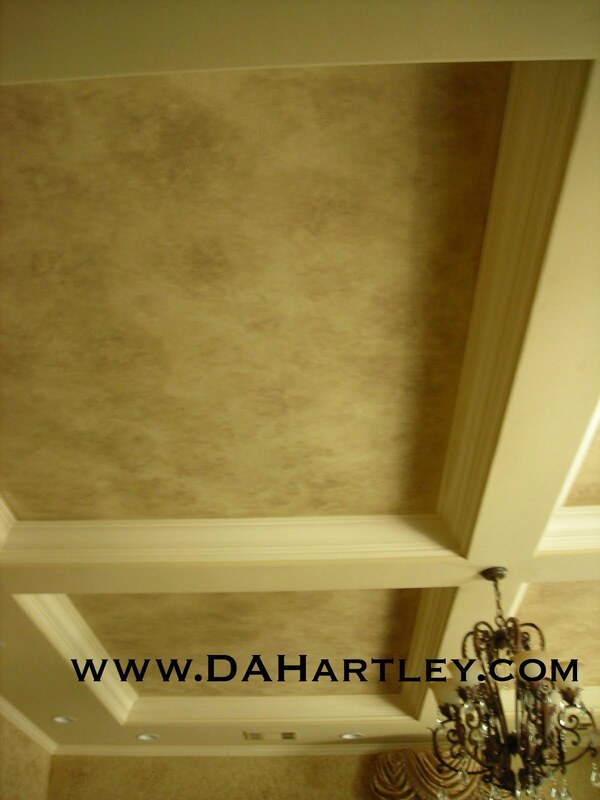 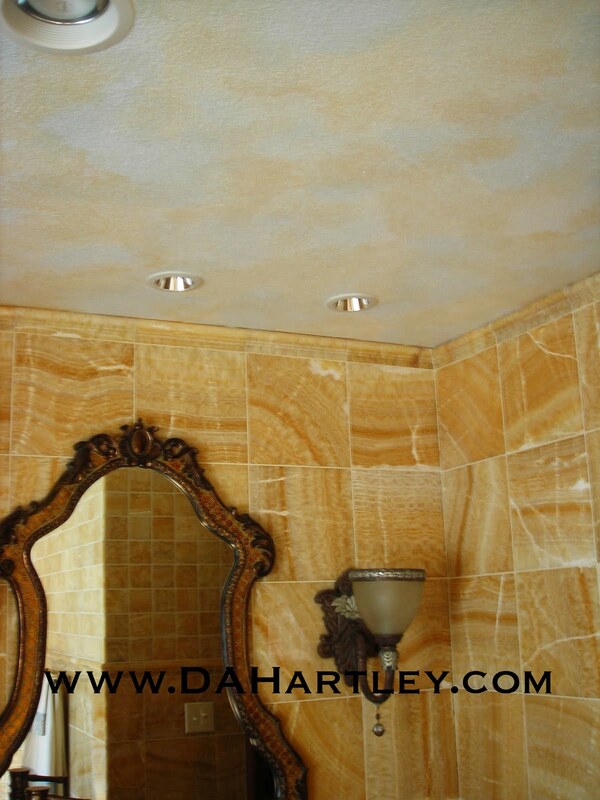 FAUX PAINTED WALLS AND CEILING IN AGED PLASTER. 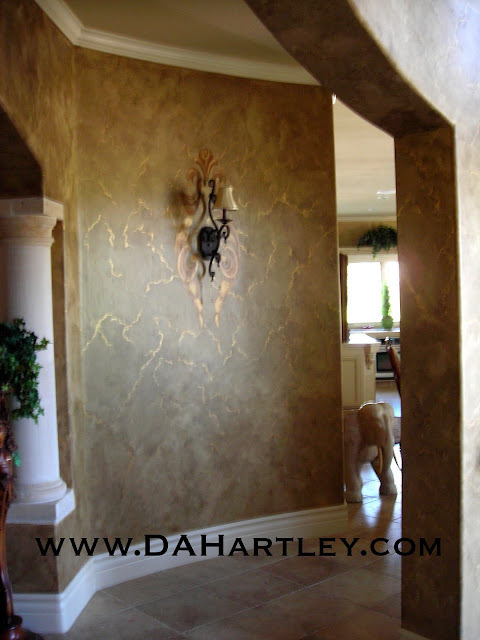 IN METALLIC VEINS OF COPPER AND GOLD. 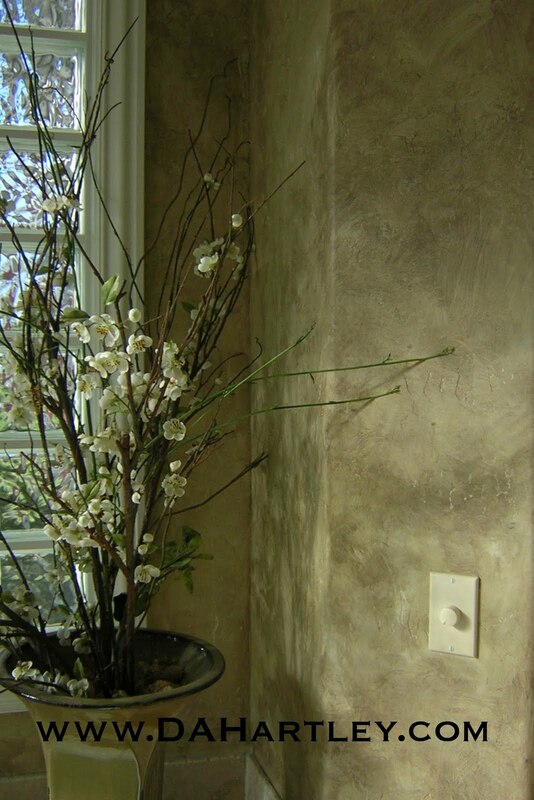 AGED PLASTER DINING WALLS DETAIL. 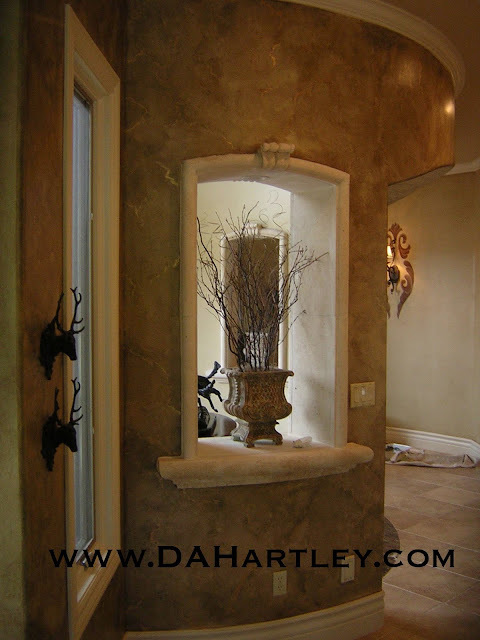 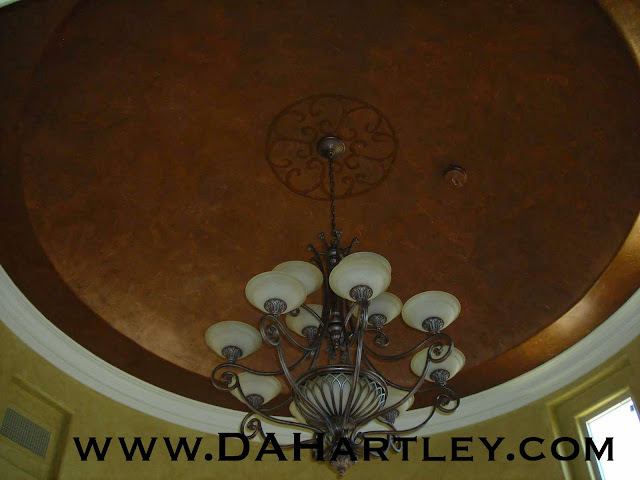 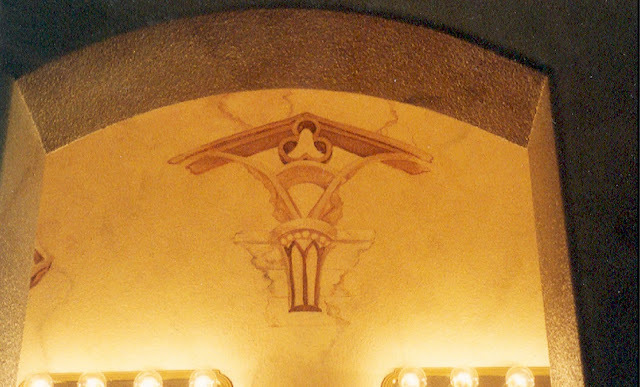 ROTUNDA ENTRANCE FAUX PAINTED IN BRONZE, WITH DETAILS HANDPAINTED AROUND BASE. 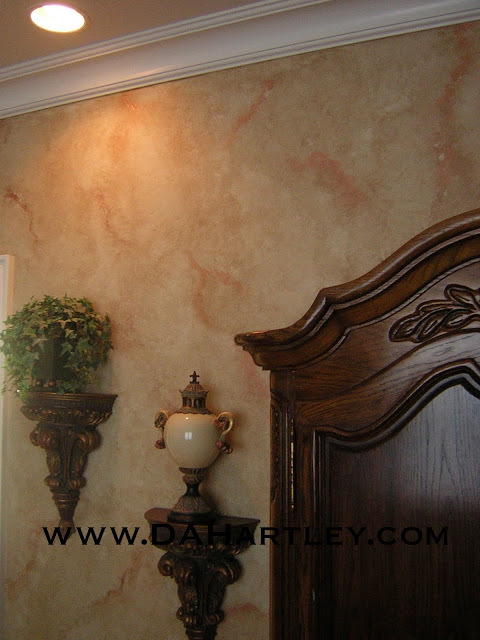 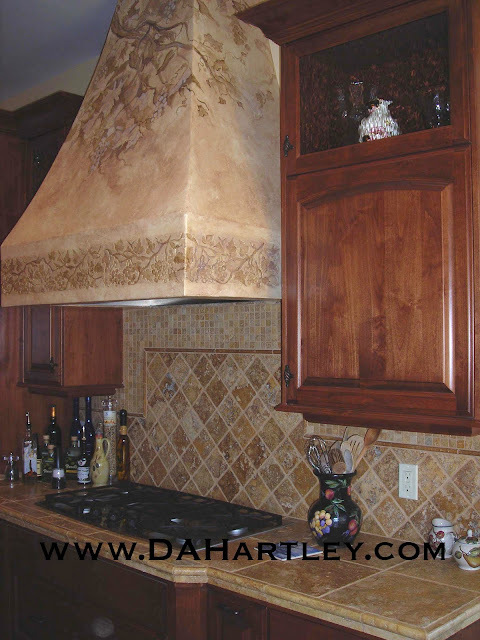 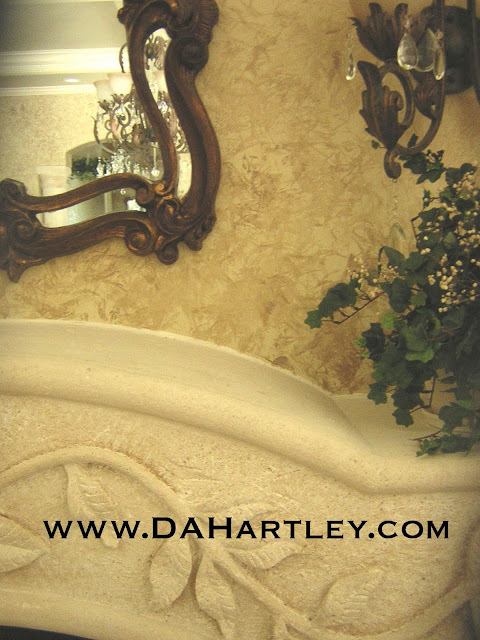 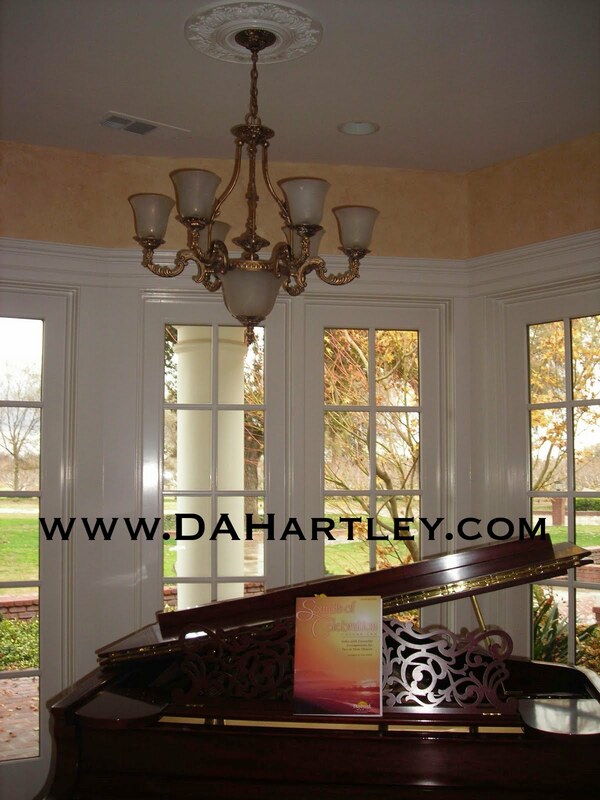 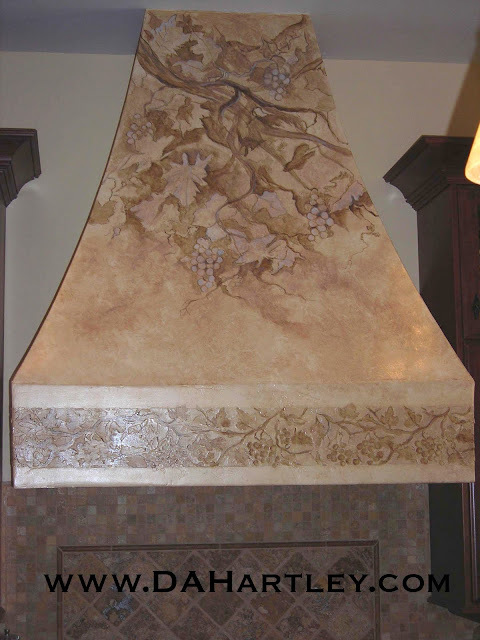 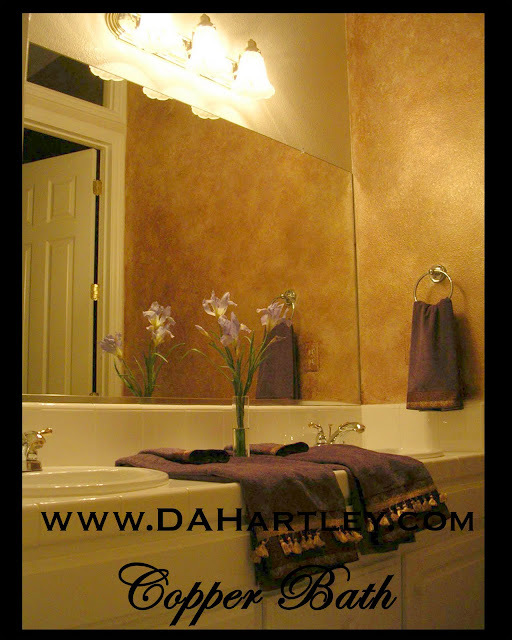 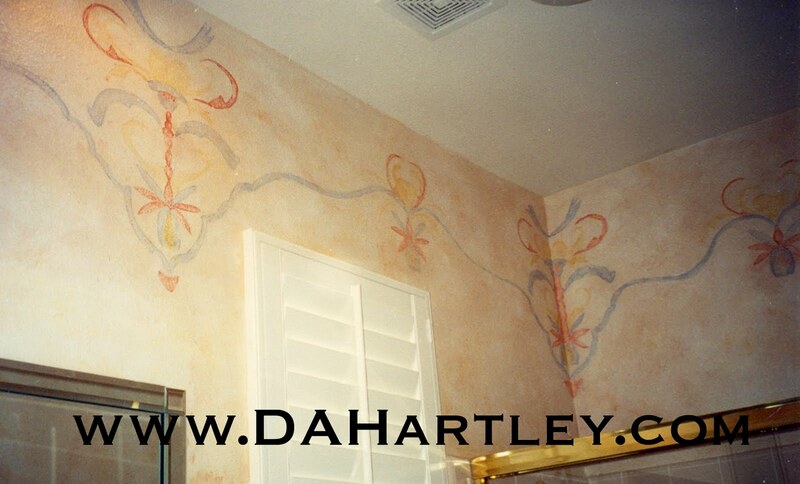 HOOD MURAL AND FAUX DESIGN BY D.A. 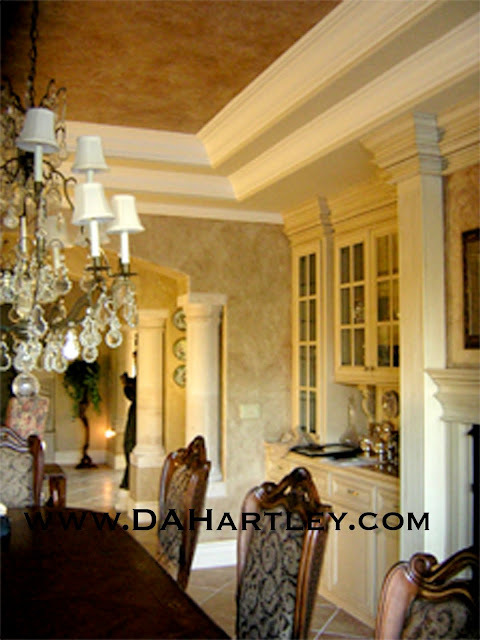 HARTLEY. 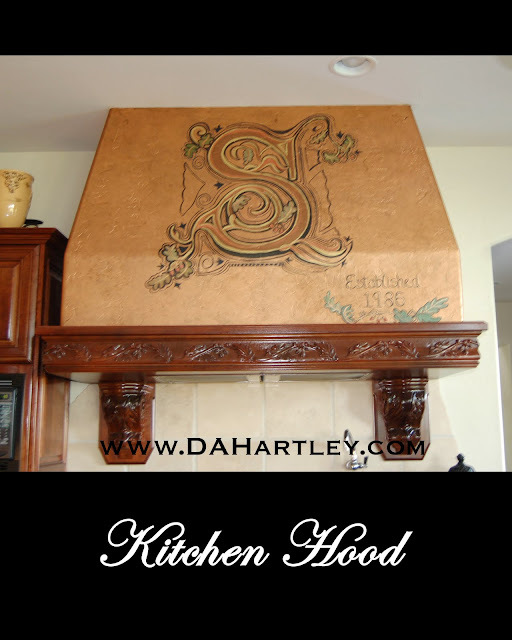 KITCHEN HOOD DESIGN IN COPPER WITH MURAL.